The SGP30 from SENSIRION is a sensor designed for measuring indoor air quality. The measurements are taken by four integrated sensor components. The integrated circuit with an I2C interface sends out a signal with information about total volatile organic compounds (TVOC) and the CO2eq signal (carbon dioxide equivalent calculated based on hydrogen concentration). The high siloxane resistance of the sensor's metal-oxide technology ensures outstanding reading stability during long operating periods. 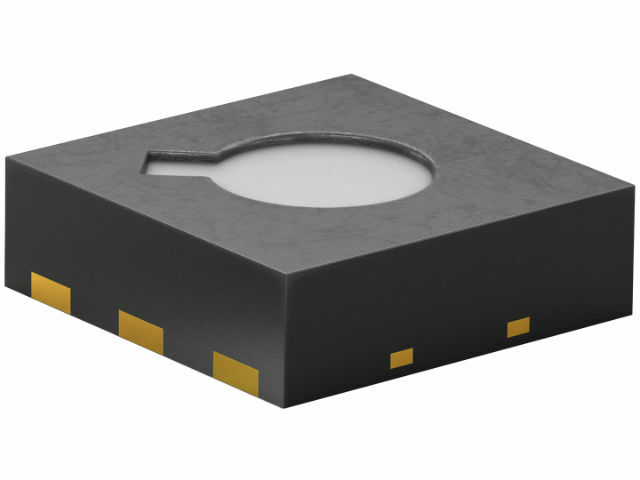 The SGP30 sensor is characterised by low power consumption (48 mA with nominal voltage of 1.8 V) and small size (DFN6 package). Users can quickly start working with this sensor thanks to its communication with PC computers via the SEK-SGP30 kit.